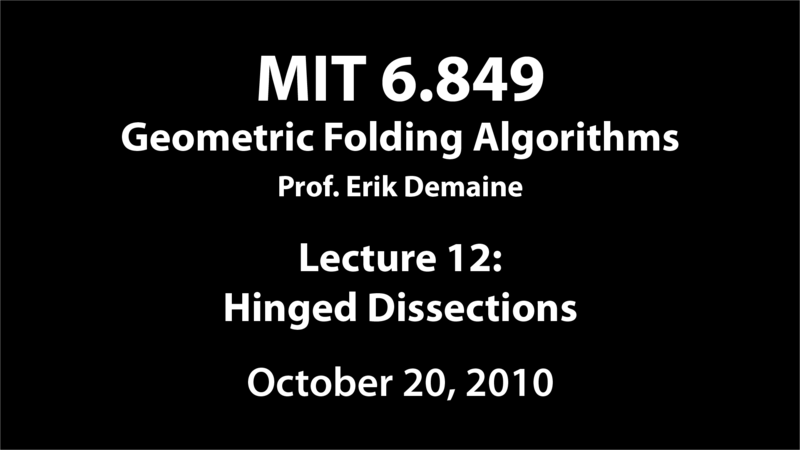 [+] Hinged dissections: Locked and unlocked chains of planar shapes, adorned chains, slender adornments, slender implies not locked, Kirszbaun's Theorem, locked triangles with apex angle > 90°; existence of hinged dissections, refinement. 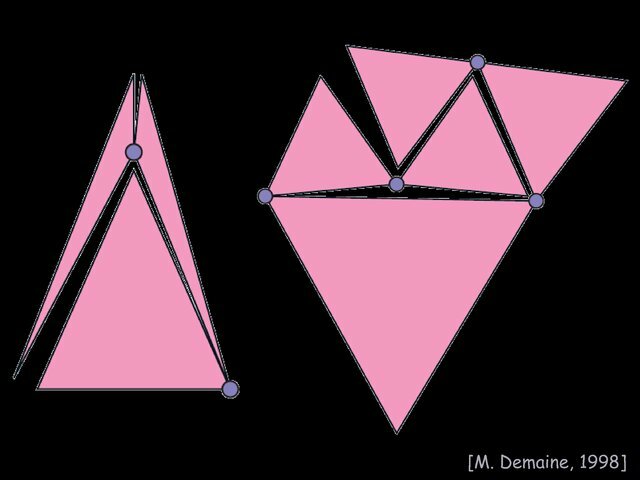 This lecture is about chains of polygons, or other 2D shapes, connected together by hinges in 2D. These structures are classically called “hinged dissections”. 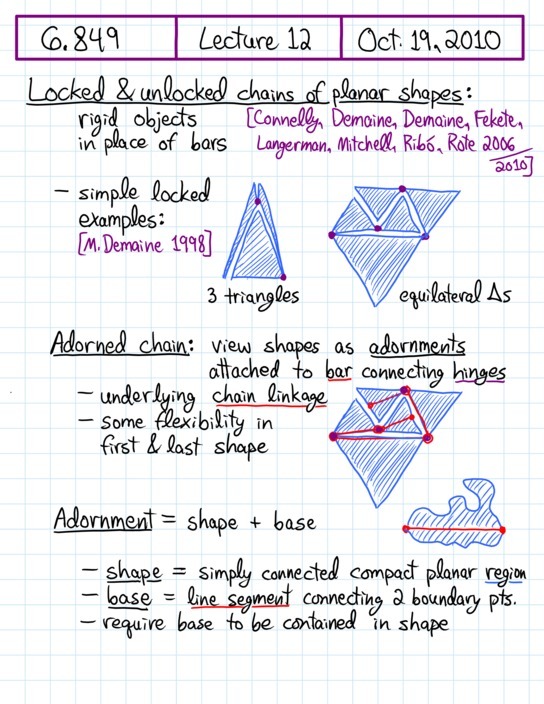 On the foldability side, we'll see some surprisingly general situations, called “slender adornments”, where these chains cannot lock, building on the Carpenter's Rule Theorem and expansiveness (Lecture 10). We'll also see some examples that do lock, building on our theory of infinitesimally locked linkages and Rules 1 and 2 (Lecture 11). On the design side, we'll show that we can actually design hinged dissections that fold into any finite collection of desired polygonal shapes, using slender adornments to guarantee foldable motions.